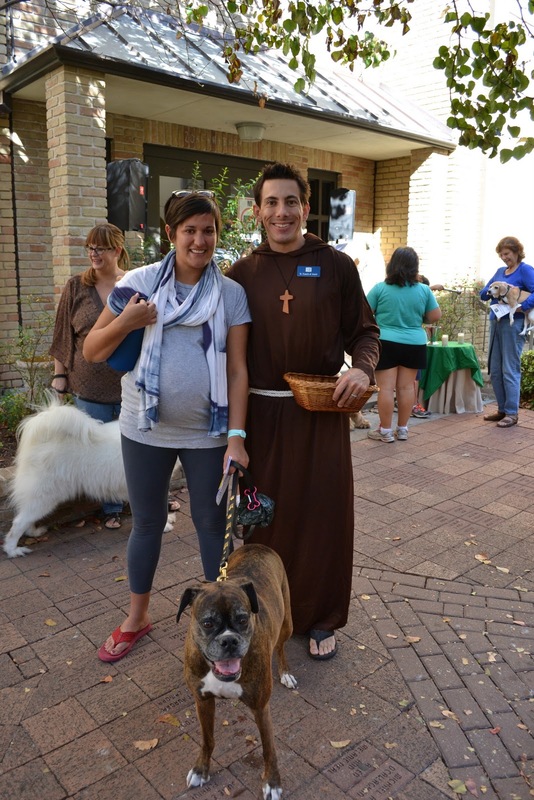 We took Lucy to the Blessing of the Animals at St. Austin Church on Saturday morning. There were lots of other pets there, including 2 cats on leashes that fascinated Lucy. During the readings and reflections when people from the church talked about why pets are such an important part of our families, I looked at our little Lou and my heart was so full. They then said a prayer for pets who have passed and I thought of sweet Sam and Bitzy and other pets we've said goodbye to over the years. I know that being hormonal didn't help but I was, of course, a crying mess. I think I was actually the only person there that was crying. 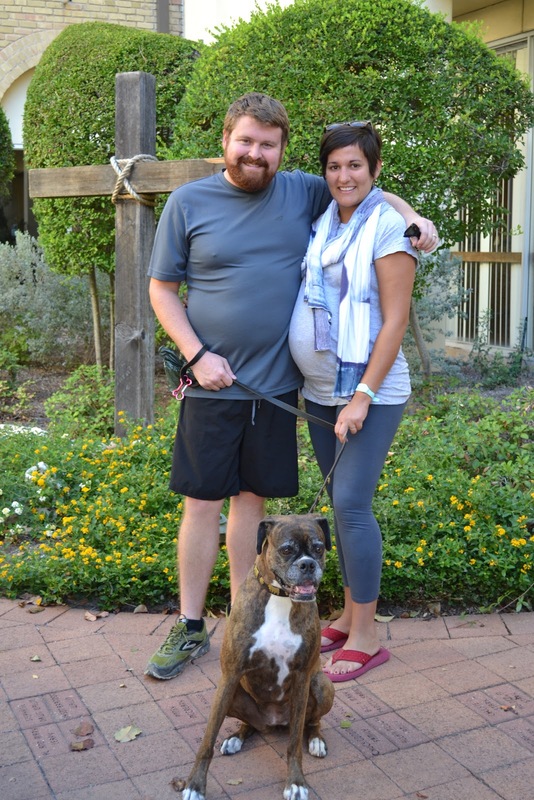 Lucy got to meet St. Francis of Assisi, the patron saint of animals, was sprinkled with Holy water (which she took very seriously), and played with 2 other awesome boxers. Afterward, we took her to the park and she fetched sticks and swam. It was a beautiful morning in Austin and our family was so happy.